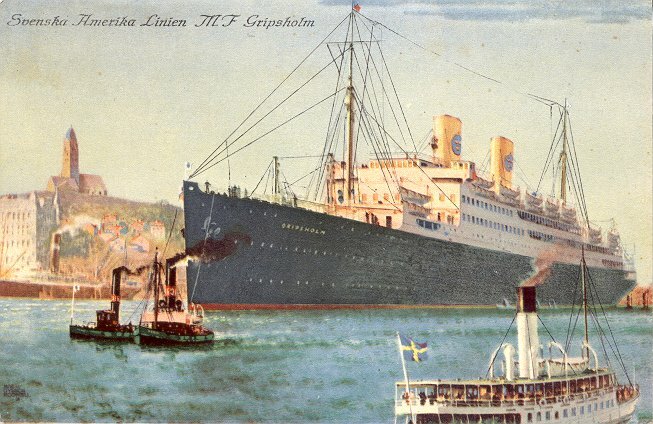 Built by Armstrong, Whitworth & Co. of Newcastle, Swedish-America Line's Gripsholm was launched in 1924. She made her maiden voyage from Gothenburg to New York on 21 November 1925. 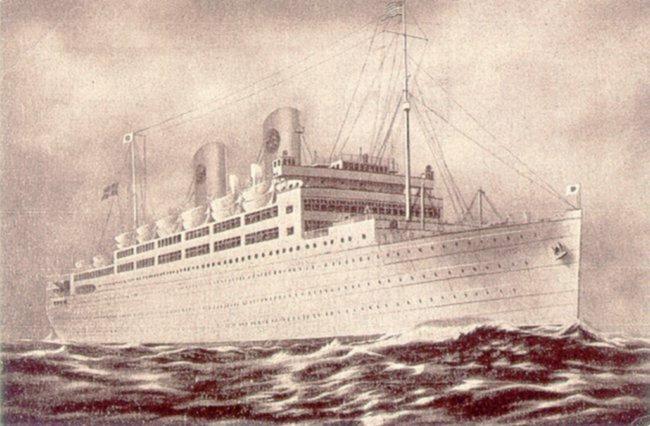 During almost all of World War II, she was used by the International Red Cross. 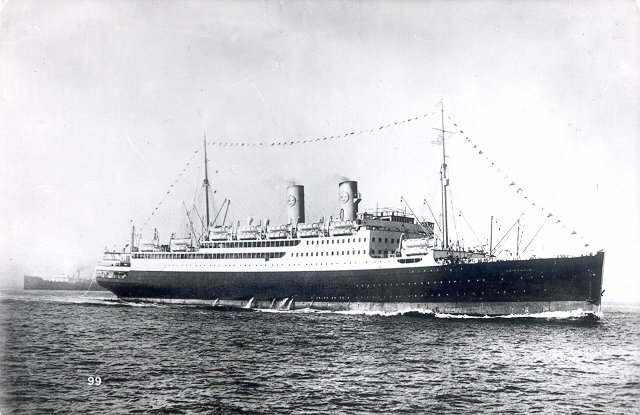 She returned to the Gothenburg-New York service in 1946, and underwent a major refitting in 1950. 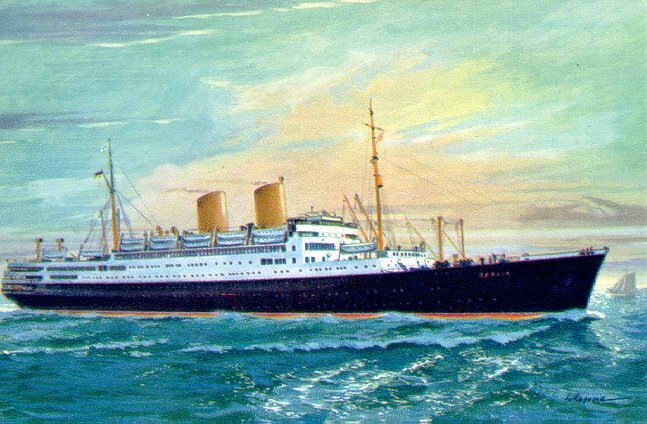 On 1 February 1954, she made her initial Bremerhaven-New York voyage for Bremen-American Line, a joint effort of Swedish American and Norddeutscher Lloyd (NDL). NDL took her over completely in January 1955, and renamed her Berlin. She remained in NDL's service until she was scrapped in 1966. Sources: Kludas' Great Passenger Ships of the World; Miller's Pictorial Encyclopedia of Ocean Liners 1860-1994.